Organisers of the Azerbaijan Grand Prix today announced that Nicole Scherzinger will take to the Main Stage at Baku City Circuit during the midpoint of the second successive F1 race weekend to be hosted in Baku. She will then be followed by The Black Eyed Peas, for what is claimed will be "a stunning night of world-class music and entertainment at the newest street circuit in Formula 1". 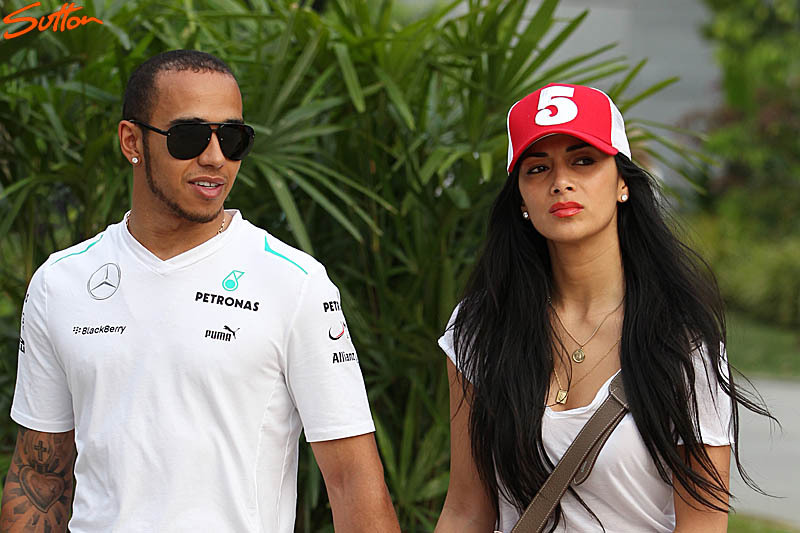 The American singer had an on-off relationship with Lewis Hamilton between 2007 and 2015, and was present at Interlagos when he won his inaugural title with McLaren in only his second season. Scherzinger has scored #1 singles on both sides of the Atlantic, selling 37 million singles worldwide - 16 million records as a solo artist and 54 million albums as the lead singer of the Pussycat Dolls, making them one of the best-selling girl groups ever. Last summer, Scherzinger wrapped filming the role of Penny in the highly anticipated "Dirty Dancing" remake for ABC, which airs this year. Scherzinger most recently teamed up with Neil Patrick Harris to co-host his new NBC primetime variety series "Best Time Ever With Neil Patrick Harris." The "X Factor" judge (both the US & UK versions of the show) has also made a name for herself on the West End stage. By far one of her greatest recent achievements was a nomination for a Laurence Olivier Award for her debut performance as "Grizabella" in a revival of Andrew Lloyd Webber's Cats. Webber himself called Scherzinger's recording of the famed hit single, "Memory," the, "best recording of anything of my music ever done." Outside of her work in the entertainment industry, Nicole is an Ambassador for UNICEF and a Global Ambassador for the Special Olympics. In an era of an ever-changing music industry that's defined by diminishing expectation, where a "successful" career means having one, maybe two hit records; The Black Eyed Peas are an exception. They have transformed themselves from a beloved backpack rap troop from the West Coast Underground into fully-fledged, massive global superstars whose music can be heard in any country around the world. They've done this the right way: creating albums that are more innovative than the last; which has translated into each new album being more popular than the last. And in following this pattern, The Black Eyed Peas – released their sixth full-length album, The Beginning. The Beginning follows on the heels of 2009's The E.N.D., the group's most popular and most creative album to date – and the album that reaffirmed their singular status as global music icons. The E.N.D sold more than 11 million copies worldwide and entered the Billboard Top 200 Chart at #1. It yielded 5 Top 10 singles (the first album to do so in 20 years), spent an entire year in the Billboard Top 200 Chart, and earned the group 3 new Grammy Awards, for a total of six Grammy Awards they've won. In all, they've sold 29 million records worldwide (plus over 30-million digital tracks). They've sold over 3-million tickets and headlined over 300 different tour dates in 29 different countries. Speaking after both acts were confirmed to perform at the Azerbaijan Grand Prix, BCC's Executive Director, Arif Rahimov, commented: "It is hard to fully express just how delighted and honoured we are to welcome two of the most successful global music acts of all time to Baku. "Both The Black Eyed Peas and Nicole Scherzinger have proven themselves time and again to belong to that very elite group of performers who transcend ordinary expectations of what an artist can and should be. Music and Formula 1 have always managed to fit together seamlessly with both industries committed to pushing creative boundaries. Today's announcement continues this great tradition."